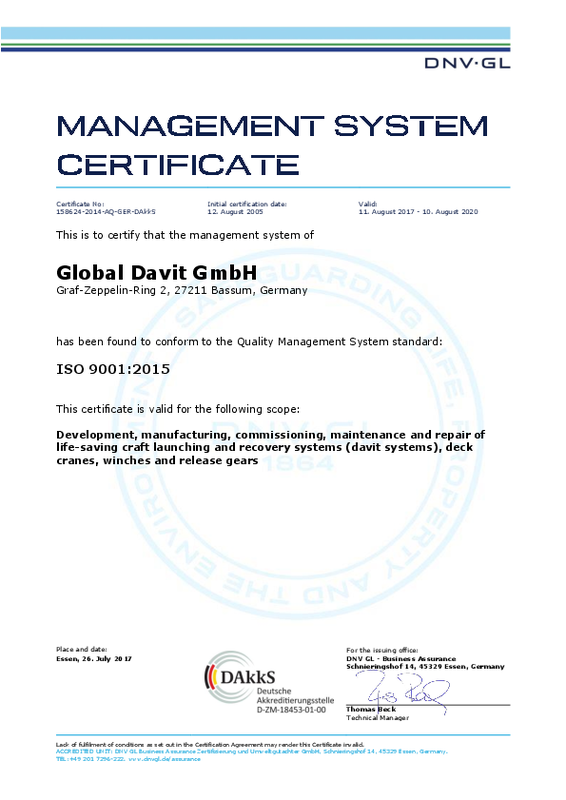 Global Davit GmbH has late 1999 been founded to meet the specific demands of life saving equipment and deck cranes for all kind of seagoing vessels as well as for the offshore (gas-,oil- and windenergy-) industries. Beside this Global Davit is ready to design and produce special "tailor" made systems to meet the special requirments for marine vessels. 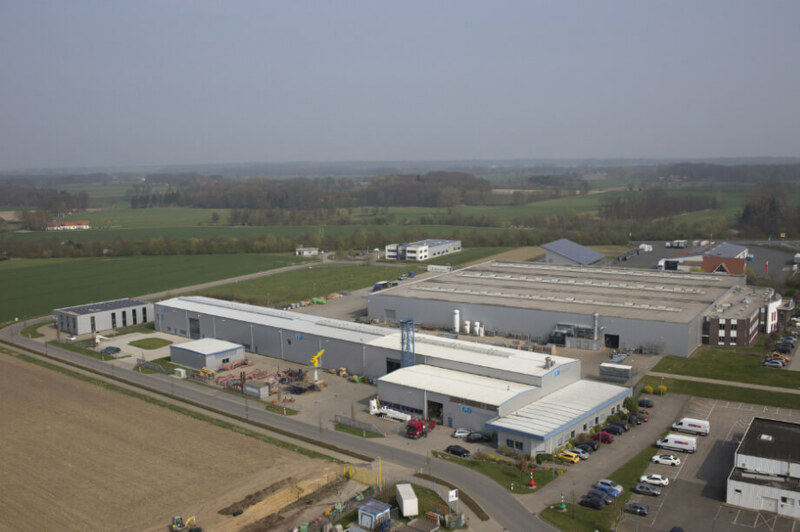 The office is situated in Bassum (near Bremen), Germany, with each member of staff having at least 10 years experience in the sales, purchasing, production, quality control and service of davit systems and cranes within marine- and offshore industry. All documents are computer generated, using the latest software of Windows, AutoCAD/Inventor and Finite Element stress calculation, which ensures maximum compatibility with our clients. Global Davit GmbH can also offer complete systems through an expanding international network of agents and associated companies. To fabricate these systems, standards and “specials”, we have established joint ventures with renowned companies that have over many years experience providing an efficient worldwide service. Being aware of the variety of survival- and deck equipment possible, Global Davit GmbH has developed a scalar of systems, from which program we can produce the most suitable option to meet your individual requirements. Test equipment, including computer controlled sea state simulators have been designed and installed to simulate the present severe recovery circumstances!